We love to share good things with you at FOCUS, like food, fun, and friendship. Even better, we love to share good news with you about God, who loved you so much He died to save you from this broken world. — FOCUS welcomes all international students. What: Meet one-to-one with a FOCUS team member. A FOCUS team member would love to meet one-to-one to talk about your life or study the Bible. This is a great way to learn about God and ask any questions you might have, no matter how silly you think they are! What: A short course to learn how Christianity enables you to live God's good life. Do you want a good life? Do you want to hear what the Bible teaches about this subject? Read the Bible, find answers and enjoy some discussion. See a trailer here. What: FREE food, fun, friendship and teaching from the Bible. Join us every Friday during semester to eat, sing, pray, play, and learn from the Bible. We share a meal together and then have a church style meeting. Everything is run to help people who have never been to church feel comfortable. It's a great place to practice English, make friends, experience different cultures, and learn about God's will for your life. What: Study the Bible in a group. Our small group is an excellent way for Christians to discover move about what we learn at Friday Night FOCUS. Our group will mature and encourage you in your faith. Do you want to keep up-to-date with our events? Contact staff@focustas.org to join our email list. Whether you're a Christian from nearby or overseas, there are many ways you or your church group can partner with FOCUS, including prayer, donations, cooking meals, volunteering time, sharing about FOCUS, etc. To learn more, contact: staff@focustas.org. You can also donate to FOCUS. Subbies for students of the subcontinent. The University Fellowship of Christians. 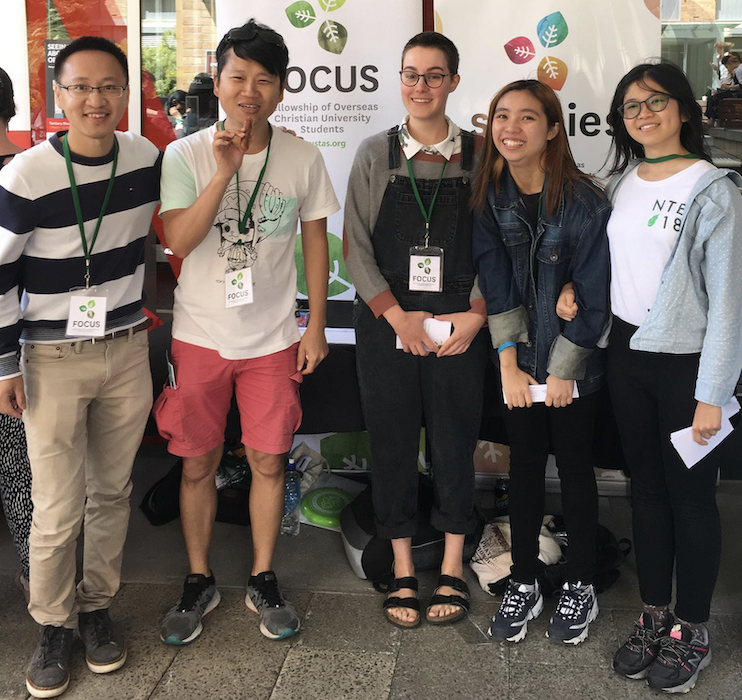 FOCUS is a Christian international student society of the Tasmanian University Union (TUU) on the Hobart campus of the University of Tasmania. 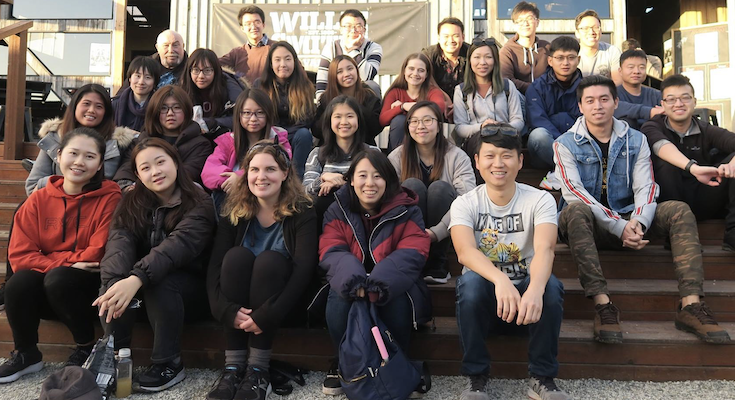 Our society and our staff are also part of the Australian Fellowship of Evangelical Students. We believe in the historic Christian faith in the Truine God, who is Father, Son, and Holy Spirit, the same faith shared by Christians across time and throughout the world. For this reason, our students and staff come from many different countries and backgrounds and are members of many different Christian churches. You can read our doctrinal statement here. The FOCUS team is made up of about twenty student leaders and staff, who make everything run smoothly. Our team loves to share God's Good News with students, as all of our student leaders and staff are dedicated Christians and Luke is theologically trained. Yi is our MTS Apprentice. Yi comes from China and has been living in Australia for nearly 9 years. He is fond of learning different cuisines, as such, he has 8 types of vinegar in his kitchen. People think he is too serious, he wants to be more funny! Luke is a real Tasmanian local. He trained at Moore College in Sydney and gives most of the talks and oversees most of the running of FOCUS. Luke is a husband to Jan and father to three young boys. He likes to cook and eat strange things, especially weird meat. He might ask you to try his cooking. Cath is involved in FOCUS women's ministry and also works part time as a teacher. She is married to Judson they are parents of Raf and Astrid. They moved from Perth to Hobart in 2017 and are loving life here, especially the wildlife, going on bushwalks and experiencing snow in winter. Cath loves to chat, sing, eat pasta and watch romantic comedies. We meet for small groups and some special events at Wellspring Church. We meet for Friday night FOCUS at Sandy Bay Baptist Church.